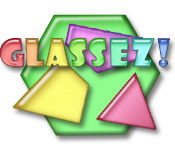 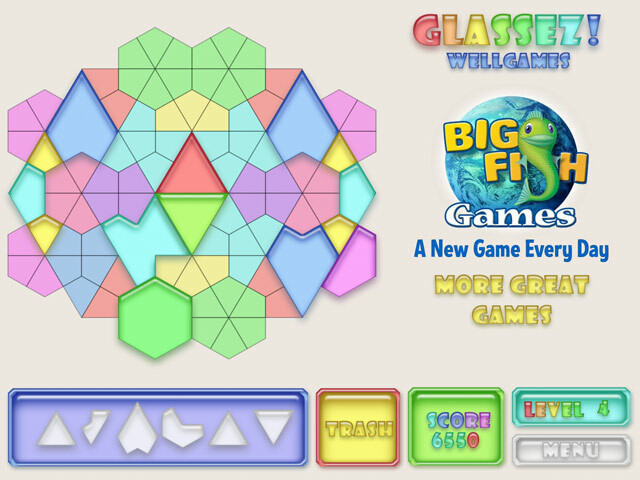 Create stained-glass pictures in this brain-teasing puzzle game.A stained-glass brain teaser.Create stained-glass pictures out of various glass shapes in this brain-teasing puzzle game. 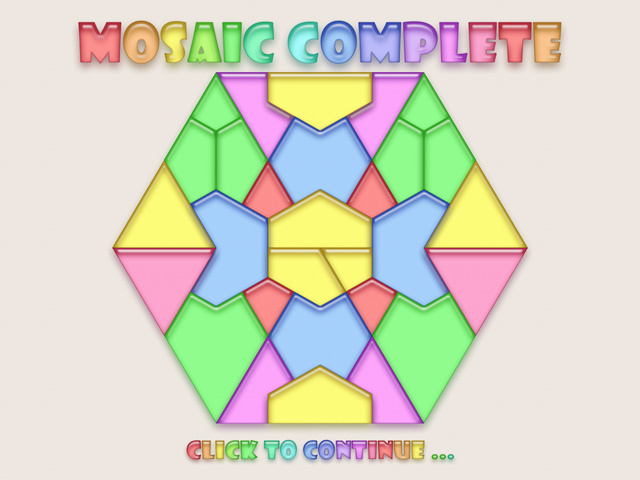 Rotate the different colored pieces by clicking on them to fit the pattern. 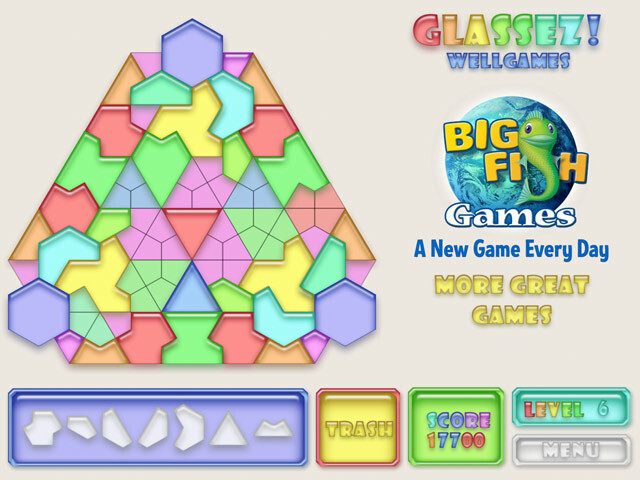 Play and discover a new pattern in every level.